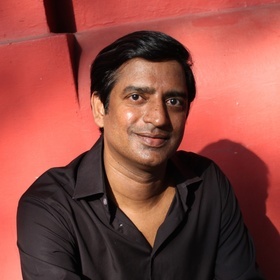 Suresh is the digital lead for South East Asia at Grey. He leads creative digital solutions for multi-national brands across the Asia-Pacific region. Prior to Grey he was the regional director of social and mobile at Leo Burnett where he lead social media marketing for Samsung Electronics across the Asia-Pacific and Middle East and North African regions. Suresh is passionate about helping brands creatively engage and sell across the web. He comes with over 20 years of experience in advertising, direct, digital and data-driven marketing in both agency and client roles. Suresh holds a bachelor’s in telecommunications engineering and an MBA from the Indian Institute of Management, Bangalore.